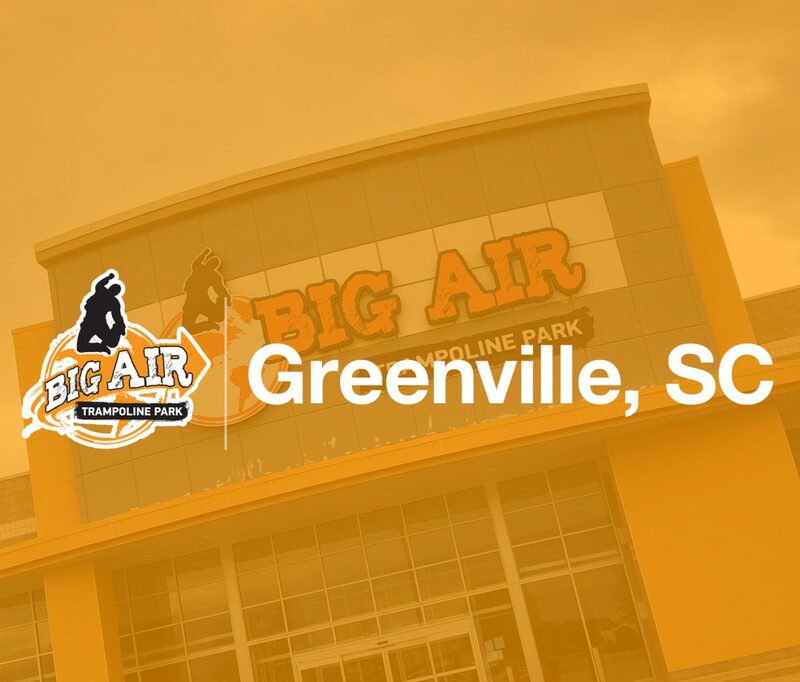 Big Air is opening its second South Carolina location and biggest park to date! Big Air Trampoline Park® is excited to announce a new franchise to be located in Greenville, South Carolina, opening in Summer 2018. The park is the second to be opened in South Carolina and will be operated by franchisee Dustin Pelletier, making this his second Big Air park. Big Air Greenville will be the company’s biggest park to date, and will include classic Big Air experiences, brand-new technologies, and an all-new climbing and ropes area. The Trampolines + More area will have 16 attractions including Battlebeam®, an interactive climbing wall, a trapeze and South Carolina’s largest ninja-warrior obstacle course. In the Ropes & Climbing section, park guests can enjoy over 28 harnessed climbing attractions and a ropes course that challenges and suspends participants over the climbing area. The park will also include Lil’ Air, an exclusive space for kids ages 6-and-under with trampolines, a foam pit and soft play elements. Parents can relax in Big Air’s second-level Parents Lounge, with access to comfortable seating, free WiFi, and access to pizza, wings, drinks and more from Big Eats Cafe. Other in-park experiences will include Cosmic Nights® and Toddler Time®, where young kids take over the park on select weekday mornings. Big Air Greenville is anticipating a late Summer 2018 opening, and will be located in at 36 Park Woodruff Drive, Greenville, SC 29607, at the old HH Gregg. Southern California-based Big Air Trampoline Park® is making leaps and bounds in the family entertainment industry. Founded in 2012, Big Air is led by an executive team with over 30 years of experience in the entertainment industry. With trademarked attractions likeBattlebeam®, events like Toddler Time®, and an award-winning birthday party program, Big Air offers a brand experience that is second-to-none. The company is now expanding across the United States through franchising, with a program that offers exceptional support in location analysis, construction, park operations, marketing, and more. To learn more about franchising opportunities, visit bigairfranchising.com.